One of Italy’s “greenest” cities, Milan boasts 54 parks and 21 gardens for a total of some 15 km2, or almost ten percent of the urban surface area. While city hall is constantly striving to reduce atmospheric pollution in the streets, Milan’s green “lungs” remain largely unpolluted and provide a respite for residents, business visitors and tourists alike. Here you can find cycle paths, sport fields and outdoor exercise courses, all equipped for even the youngest of visitors. For those simply seeking to relax and enjoy the green surroundings, for a day in natural surroundings or just for a lunch-break, there are kiosks to catch a snack or a drink, and gazebos providing shade. 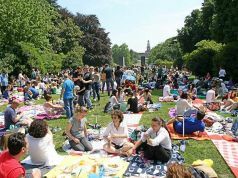 What isn’t allowed in Milan’s parks is grills, barbecues or picnics outside the designated areas. 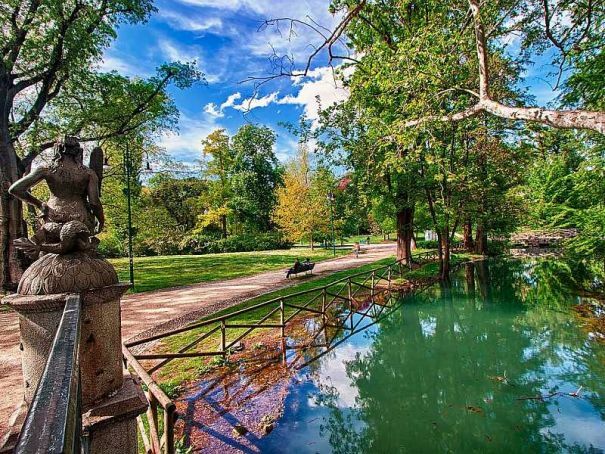 Here are a few of the more important parks in Milan. By far the best-known park is the central Parco Sempione, a romantic park in “English style”, created in 1893 and, like almost all Milanese parks, open seven days a week free of charge from dawn to dusk. It contains a rich collection of trees and bushes, several sport or recreation areas and play zones for children. Parco Sempione is surrounded by important buildings and institutions, from the Sforza castle with its museums, the Gianni Brera Arena, the Peace Arch, Milan’s Triennale and the civic aquarium. The Enrico Forlanini Park, on the city’s eastern edge near Linate airport, was created in the 1970s along the banks of the river Lambro. The park contains eleven working farms and a recently planted beech wood, as well as cedars and hackberries. There are two jogging tracks of 7 and 5.4 km, a ground for playing bocce, two snack bars and an ample car park. 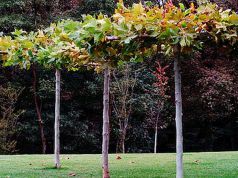 Boscoincittà was created in 1974 on the initiative of environmental association Italia Nostra, and is Italy’s first project of urban forestry. Built around a working farm, this “forest in the city” offers 110 hectares of woodland, clearings, paths, watercourses and kitchen gardens. It dates back to the 15th century, but after several changes in use it was damaged by fire in the second world war and later abandoned until the Italia Nostra project was born. The park offers horse-riding trails, an area for dogs to run free, bike rental points, toilets and two car parks. The entrance on Via Novara lies along the bus line 72. Villa Litta (villa in Italian refers not only to a building but also to its surrounding gardens) still conserves some of the splendour and magnificence from when it was created as an 18th century park full of obelisks, sphinxes and pyramids, transforming it into an “English style” landscaped garden. The park has a large, well-equipped play area with two multi-use pitches for basketball or volleyball and a football field. It is great for jogging and leisurely bicycle rides. The building, nowadays used as a library, is the property of the municipality of Milan. Located in the northern quadrant of the city, it lies about 10 minutes on foot from metro station Affori on line M3. The Giardino della Guastalla, near metro M3 station Crocetta, is a park in Italian style dating from 1555, restored in 1938 and 1998. It contains a baroque fish farm with two pools and a neo-classical temple. 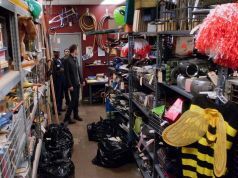 There is a snack-bar, a kid’s play area, an area for dogs to run free and a BikeMI bike-sharing station. A voluntary association has created a botanical route to view the park’s more unusual flora, with signs describing the trees and bushes and a free printed guide. The Trotter Park, alongside Via Padova, is particularly dedicated to children. It hosts the “Casa del Sole” school, built in 1919 as a centre for sun-therapy and gymnastic activity to help children with rickets, based on the latest European models of education at the time. As well as providing lessons, the institution was designed to improve the quality of life of the most fragile and maladjusted children. Today it is open to the general public, one of the largest and most important open-air schools in Europe. Metro line M1, Rovereto station. Parco Nord Milano’s paths offer rows of lime and horse-chestnut trees, elms and poplars and several ponds and beautiful fountains. There are many different species of animals, including a few surprises: in addition to common robins and dragonflies, visitors may also spot great spotted woodpeckers, foxes and hedgehogs, and dawn visitors to the park often come across wild hares. The park is a hive of activity all year round, from the Christmas nativity plays to environmental education initiatives, from music festivals to sports events. There are many sports facilities, open free of charge: from bocceto board games, from foot and cycle tours to urban vegetable gardens. For joggers, the park offers a varied series of fitness trails. It lies on Viale Fulvio Testi in the Sesto San Giovanni suburb. The Indro Montanelli Gardens complex, named for a famous Milanese journalist, lies in the city centre along Corso Venezia. The original pleasant neoclassical layout with formal geometric flower beds was influenced by French-style gardens and was created between 1783 and 1786 over the ruins of two ancient monasteries. The park has three children's play areas and an entertainment space with rides, a train, kiosks and bars including the Bar Bianco. The gardens often host events. Another popular park for sunbathing and water-sports is Milan’s Idroscalo (pictured), the former seaplane base near Linate airport. The artificial lake, over 2.5 km long, offers water-skiing, canoeing, sailing and water-sport events. The Idroscalo is also managed by city hall, which in cooperation with a sponsorship partner is investing almost €2m in maintenance and improvements to the amenities over the next three years. 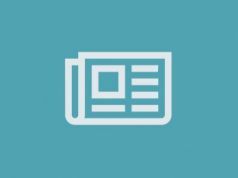 The Milan municipal website hosts a list of all the city’s parks, with details on their history, current aspect, location and amenities.